Tam shapes the conversation for Living Life GRAND by using topics typically associated with work and applying those same concepts to your personal life. Topics include Aging, Family, Work, Human Rights, Health, Kindness, Inspiration and more. Serial entrepreneur and former Global Education and Corporate Communications Executive, Tam Williams is the President of She’s It LLC, a lifestyle technology & content media company which focuses on unique 360° Well-Being Solutions. But Tam loves to teach and speak. In her words "what I leave behind is more important than what I walk in with" and that is how she brings it with every opportunity to speak. It's not only engageing but entertaining and it is through 5 topics that Tam helps to Shape the Conversation for a HEALTHy WELLthy mindset whether personal or professional. Bringing over 30 years’ experience, Tam is known as the Resultant and influencer for change. Companies she has used her influence and consultation include Motorola, Lockheed Martin, Booz Allen, GS1, Vanguard, Merck Pharmaceuticals among many more. 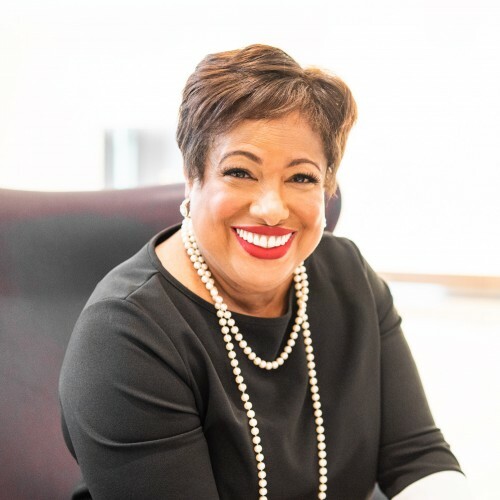 Tam has been an advocate for women and women’s rights many years having held board seats at Girls, Inc. Philadelphia, Women’s Business Enterprise National Council, Minority Supplier Development Council, Women Impacting Public Policy and Ellevate Network. Tam was also named one of 25 Influential Black Women by Mobil Oil and The Network Journal. Her op-ed “Bank, Car Makers Get Bailouts While Main Street Drives the Economy” received national acclaim. From 2003 – 2005, Tam hosted the radio show Small Business & Politics Entwined, covering the 2004 RNC, DCN and the Presidential Inauguration. Tam is an international speaker, facilitator and trainer. She has facilitated and provided keynote speeches to the US Virgin Islands Women’s Conference, National Black Chamber of Commerce, Cheyney University, Rainbow Push Wall Street Economic Summit and many others. One of her prides is being certified by the Kauffman Foundation to teach FastTrac® training which equips aspiring and established entrepreneurs with the business skills and tools to start and grow successful businesses. Kauffman FastTrac® was created by the Ewing Marion Kauffman Foundation, the largest foundation in the world devoted to entrepreneurship. Tam collaborated with Next Opportunity Group to deliver the first strategy education, coaching, and implementation training to 25 high potential diverse CEOs through the Six Parallel Tracks to Success Program™, based upon NextOpp’s proprietary methodology sponsored by pharmaceutical giant Merck & Co., Inc. and the PANJ-DE Chapter of the Minority Supplier Development Council (MSDC). Most recently, Tam served as Pennsylvania Co-Chair for the Women’s March On Washington, served as Chair of the Women’s March Diversity & Inclusion group which has transitioned to the Women's Diversity & Inclusion Foundation known as WODIF and it has over 13K members from around the globe. Find out more about That's Tam! at http://www.thatstam.com.